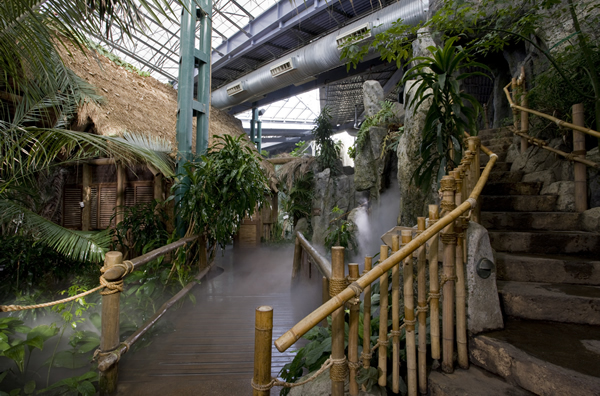 Destination Africa opened in January 2003 as the largest facility ever developed at the Calgary Zoo, encompassing 4 structures that includes: The TransAlta Rainforest, African Savannah, Kitamba Café and the Safari Lodge. With the goal of creating a “total immersion” experience for visitors to make them feel as though they are in Africa, and at the same time maintaining the dignity of the animals, F&D became an integral part of the construction process. 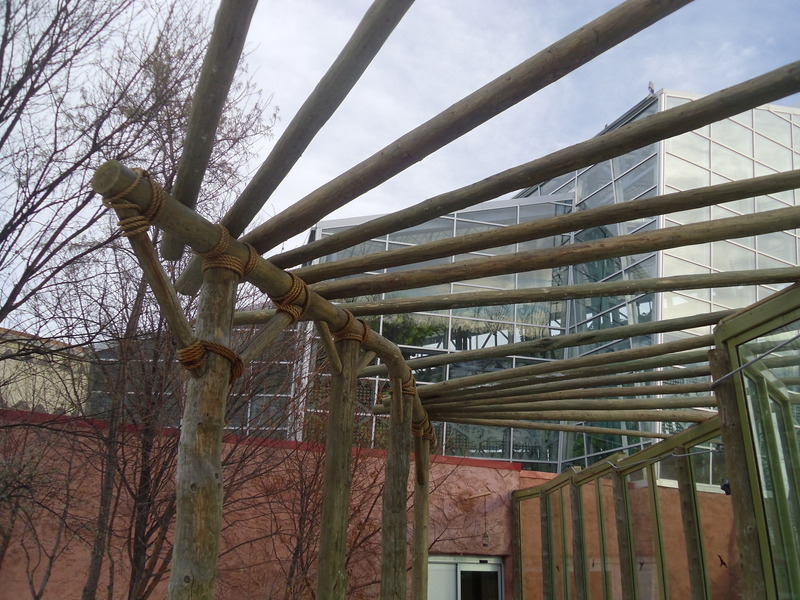 As the initial stages of research began, with the Calgary Zoo client, Architects (BKDI), and general contractor (PCL), F&D worked to further design and develop the themed elements to the interior and exteriors. Colour, graphics and textures were created and added to give life to the surroundings that became a backdrop for the vegetation and animals in their exhibits. The handrails, verandas, trellises and heavy structural steel were dressed out to give the illusion that only logs held up the structures. A Research and Warden’s Cabin were constructed resembling buildings from the heart of the rainforest. Bridges and pathways, along with 2 classrooms became a part of the themed habitat.